All accessory orders ship the same business day when ordered by 12PM CT. The long awaited, piston driven, PWS MOD2 upper is forged to be exceptionally strong, yet lighter than most competing products. 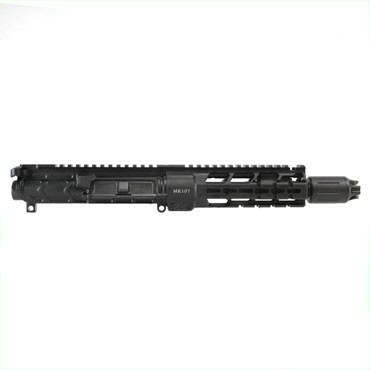 Chambered in .223 Wydle, the MOD2 MK107 upper allows for use of 5.56 NATO ammunition, while maintaining a high degree of accuracy from the 7.75" barrel. PICMOD technology in the handguard allows for mounting of any KeyMod compatible accessory, but additional cuts are made to allow for direct interface of any 1913 rail compatible device. 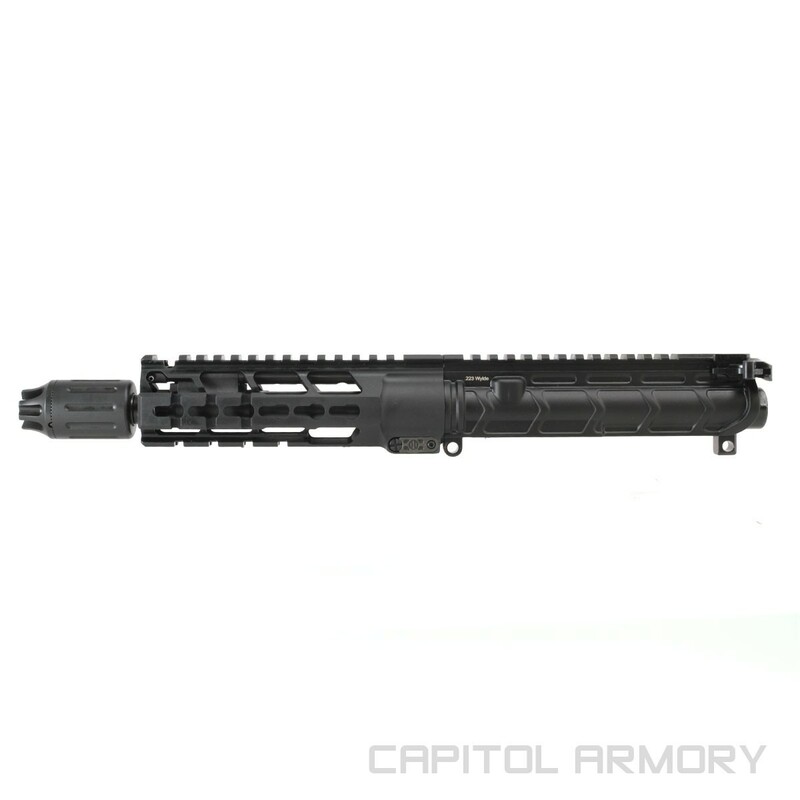 This allows for the smooth side and low weight of KeyMod, without having to add the bulk and weight of KeyMod rail panels. A three position gas block let's the user quickly manage the weapon's gas system depending on their specific needs. Position 1 will allow for all types of ammunition and conditions without a suppressor, while position 2 is used for lower powered ammunition in suppressed applications. Position 3 allows for an even smaller port size, keeping blowback to a minimum and cyclic speed ideal while using hotter ammunition with a suppressor. A common known fact that has been lost through the marketing efforts of many AR 15 manufacturers is that a forging can produce a piece that is much stronger than a billet part. As the metal is shaped during the forging process, its internal grain aligns to follow the general shape of the part. As a result, the grain is continuous throughout the part, giving rise to a part that is stronger, yet lighter, than a billet part. The MOD 2 handguard has been equipped with the new PicMod Technology. This allows you to mount any KeyModTM attachment anywhere on your rail while being able to mount most Picatinny accessories directly to the rail in the areas where the PicMod feature is present. This gives you the most mounting options without having to use KeyModTM mounted Picatinny rail sections, adding unnecessary width and weight to your rifle. Is this upper full auto rated, additionally , does this upper utilize the narrow buffer tube design that the mod 1 utilized ( or is it a standard size ) much appreciated . Yes it is full auto rated. Call us about the narrow buffer tube question.